The Wolfpack are back for 2013? As expected, the Wolfpack will be back. Again. 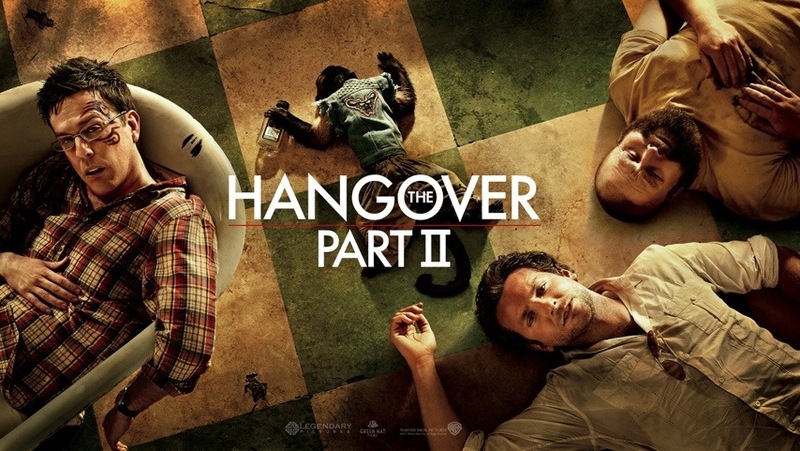 Yes, even before the massively successful, award-winning "The Hangover Part II" took in over $580 million worldwide, Todd Phillips was already talking up a third entry, and the resulting box office pretty much guaranteed it was gonna happen. Todd Phillips even had a plan in mind for the direction it would take, and thankfully, it would eschew the carbon copy approach of the follow-up. Phew! "If we were to do a third one, if the audience, if the desire was there, I think we have a very clear idea where that would head. It’s certainly not in the same template that you’ve seen these movies. The third would be very much a finale and an ending. The most I could say about it, what’s in my head, and I haven’t discussed it with these actors, is that it is not following that template but very much a new idea. As far as where it takes place, I said I’m very open, like the Olympic committee, to being pitched and presented cities, flown around with wine and women and bribed. Then I will make my decision." Looks like everything is beginning to come together. Sexiest man alive Bradley Cooper was on Brit television's "The Graham Norton Show" (via Moviehole) to promote the Blu-ray/DVD release of "The Hangover Part II," and he dropped the most substantive info about the third film yet, he confirmed the new direction it will take, and when it will shoot. "I hope we're going to start shooting in September. I know Todd Phillips is working on the script. We adhered to the formula in the second one, [and] the third would close the trilogy. I think it'll take place in L.A. and not adhere to the structure, it might be different"
So most probably we'll be seeing the Wolfpack in 2013. Can't wait. Leve a comment to let us know h if you're excited for their comeback or not. The Dark Knight Rises' Second Teaser Poster!